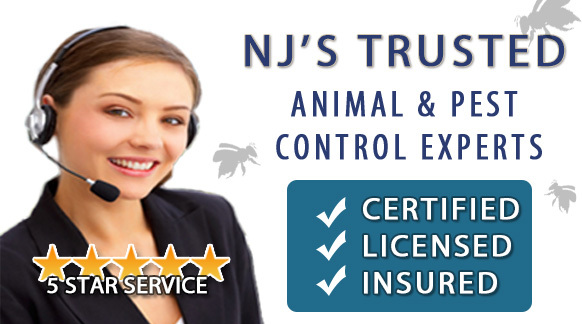 Are you looking for Flying Squirrel Removal in NJ? ALCO Animal & Pest Control offers prompt, professional and safe Flying Squirrel Removal in NJ since 1995 for many satisfied clients. Whether it is residential or commercial Flying Squirrel Removal , ALCO Animal & Pest Control will solve your Flying Squirrel problem in no time. Our trained and experienced Flying Squirrel Removal technicians are qualified to handle a variety of Flying Squirrel situations. ALCO Animal & Pest Control will keep you safe and keep you in line with state and local animal laws. ALCO Animal & Pest Control uses environmentally friendly Flying Squirrel Removal products as well as humane Flying Squirrel Removal methods to keep you and your children safe while performing the Flying Squirrel Removal job. Our knowledgeable pest technician will answer any questions you may have and explain to you every detail you need or want to know about the job. We are always friendly and we are here to help you get rid of Flying Squirrels. If you are wondering whether they inhabit your area, then take a look at the acorn or hickory nut shells that you find on the forest floor. Gray Squirrel crush and crunch acorns. These animals cut a smooth ovular or circular opening in the shell of the nut (like taking the top off). With a larger or heavier shelled nut, they will create a second opening, or cut the entire end of the nut open. Another distinguishing characteristic is that it is a nocturnal creature to help make it harder to find. A flying squirrel's usual habitat is inside tree cavities in hardwoods. However, they can enter your home through the smallest of cracks and holes. The main reason why they enter homes is to seek shelter and a hiding place and they like to hide in the insulation. 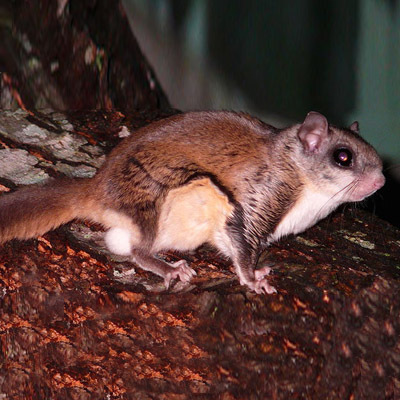 Flying squirrels chew ornamental and potted plants, damages screens, and often gnaw on wood, electrical wiring and insulation causing fires.